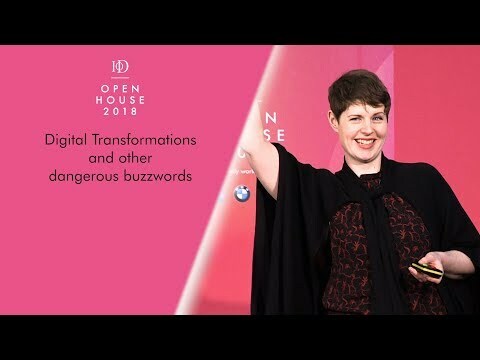 Lindsay Herbert is author of Digital Transformation, a Bloomsbury best selling business book, which has received international praise for its inspiring examples of innovation and practical framework for how to drive real change in any organisation. Lindsay is also an Inventor and Digital Transformation Leader at IBM, where she leads major technical and innovation projects for companies worldwide, as well as creates breakthrough technologies for IBM itself. Lindsay’s most recent invention is IBM’s Instant Checkout, a revolutionary innovation for retail. This ground-breaking technology has resulted in international media coverage, including BBC World News and a segment on BBC Click. As a speaker, Lindsay is both funny and engaging in how she relates examples of real innovation that have transformed the way companies bring value to their customers. Lindsay’s universally relatable core message is that digital transformation is actually about companies learning to become more adaptive to change itself. In her talks, Lindsay uses stories to bring to life the five critical stages of real digital transformation, which have been gathered during her three years of interviewing company leaders around the globe for her book. Lindsay’s talks also draw upon her own insider insights leading major change with a diverse set of leading brands, including the United Nations, Shell, the World Wildlife Fund, the NHS, plus many financial organisations and higher education institutions. On a more personal level, Lindsay also speaks about her experiences as a woman in male dominated tech fields. From being mistaken for a hostess at a technology event, to enduring questions about who the ‘real’ inventor is of her technologies, Lindsay she shares her advice to people of all backgrounds for how to tackle biases and overcome stereotypes. In these funny and inspiring stories, she also offers practical recommendations to company leaders who want to create a more inclusive and diverse talent pool. Originally from Canada and with a portfolio that spans the globe, Lindsay has called the UK home for the past 11 years and resides in London with her husband Joseph.